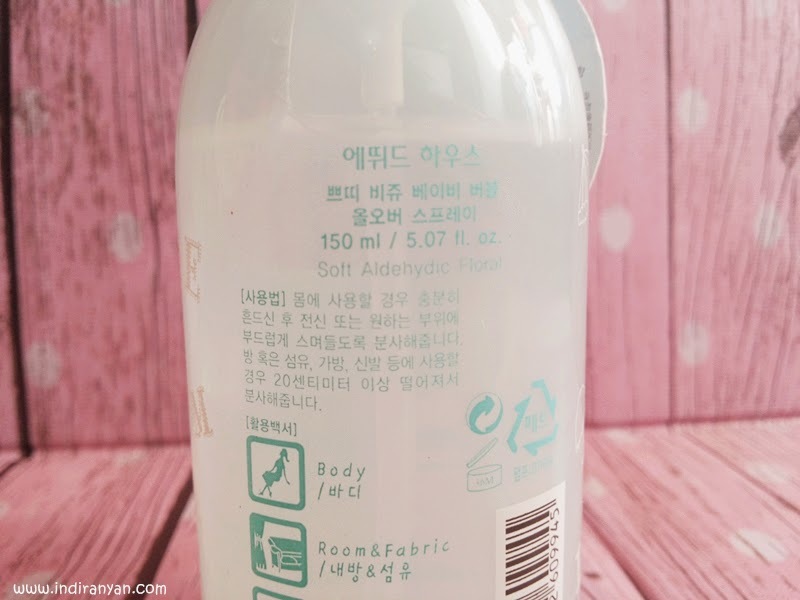 This time review is korean brand which is so famous about their cute packaging, Etude House. 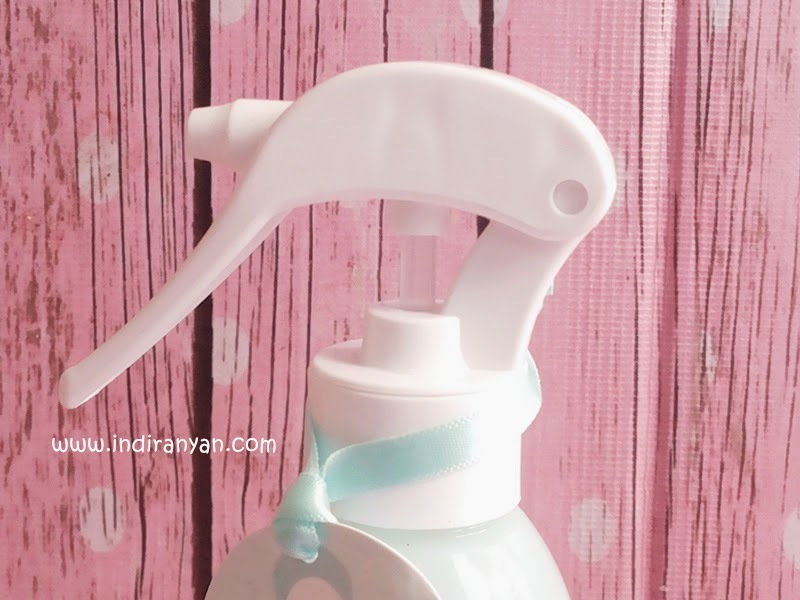 I will talk about one from their line products, Petit Bijou. 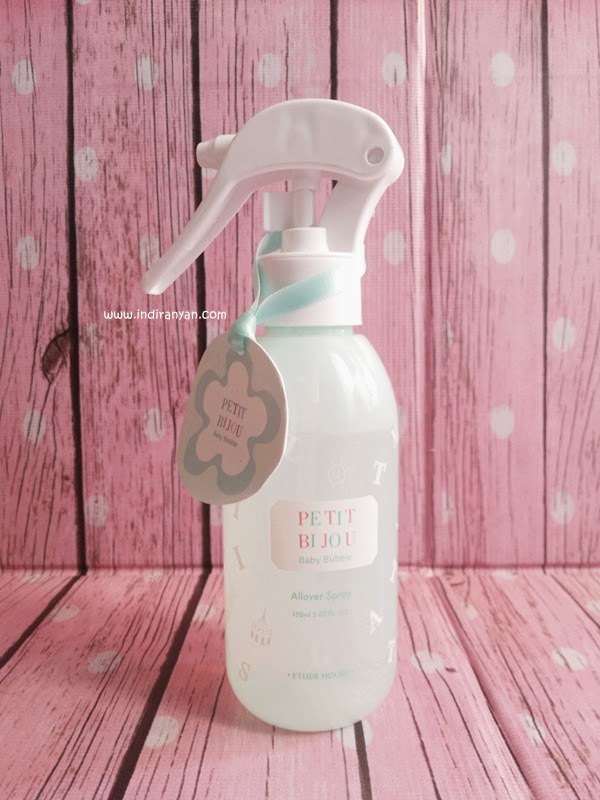 Products from Petit Bijou line is available in body erfume, body lotion, body wash, intensive care cream, and all over spray. 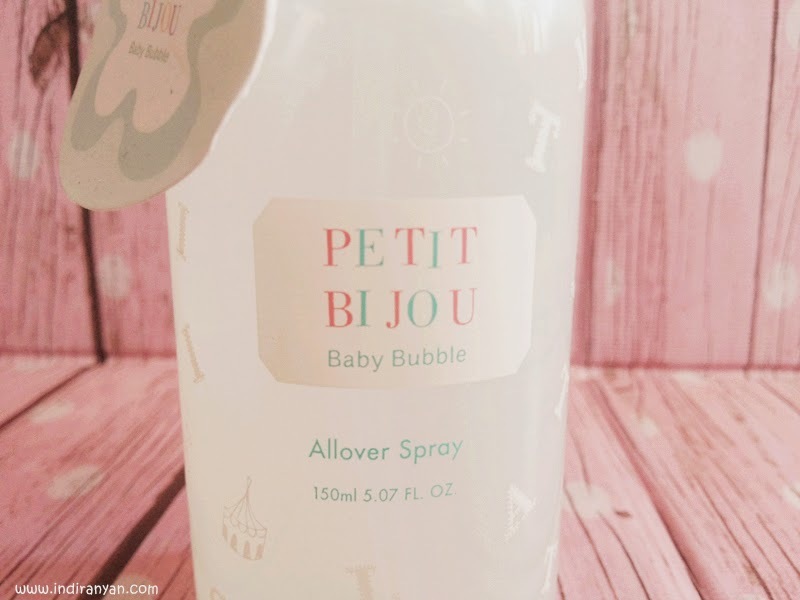 Okay, from the post title I think you know that I will review Petit Bijou Baby Bubble All Over Spray. 1. For external use only. 2. Avoid contact with eyes. 3. Keep out of reach of children. 4. Discontinue use if signs of irritation and/or rash appear. 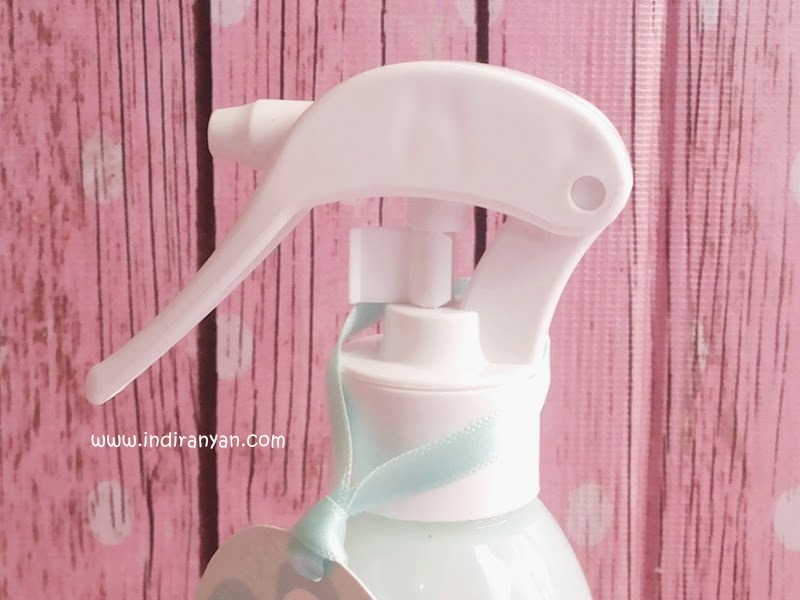 The packaging comes in bottle with soft green color and dominated with alphabet pattern. The packaging is not really big, however it's not travel friendly in my opinion. 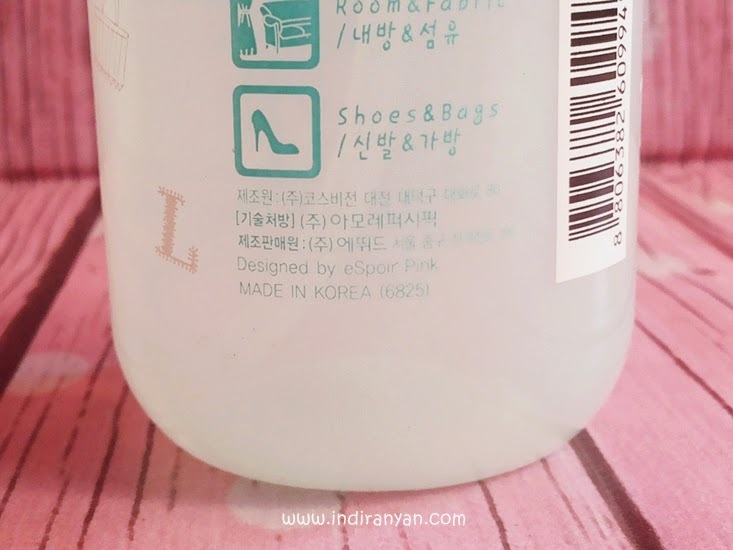 In the bottle there is written information about this product but in Hangeul I can't read it, and the manufactured date in the bottom. 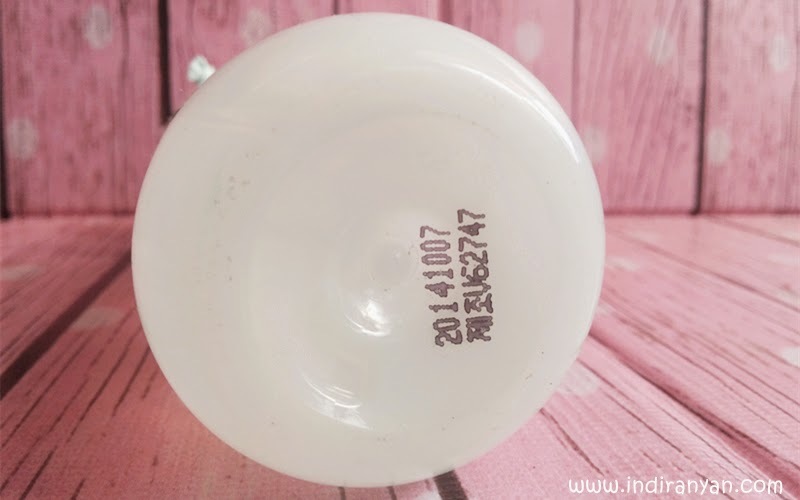 Please note, most of korean products write the manufactured date not the expired date. 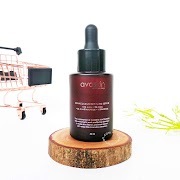 As seen on picture above, you can use this product can be used on your body, room, clothes, shoes that's why the name is All Over Spray. This product comes with something to locked, so it won't spray all over everything during shipping. First picture is locked and the second is unlocked. 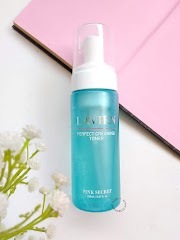 I bought this product for 95.000 IDR on online shop named KingQueen Etude Cosmetic on facebook, I don't know how much price on Etude House counter in Indonesia, but I heard the price is counter is under the 100.000 IDR. The scent of this product is quite nice, something soft like baby. But, I'm really sad wherever I spray it (body, clothes or room) the scent of this is not even last for 30 minutes. Overall, even the price is not expensive but I don't recommend cause it don't last long. Oh please even the drugstore product have more good staying power. 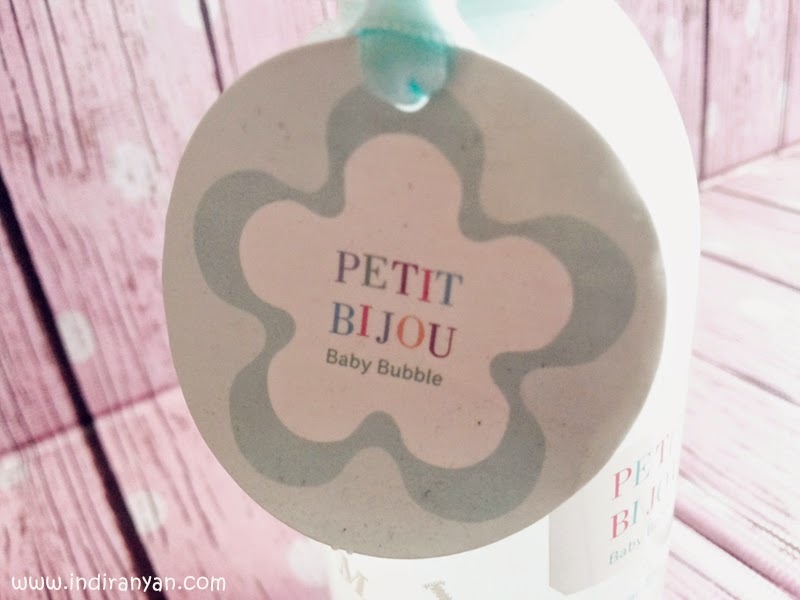 But if you like this kind of scent I recommend you to try Petit Bijou Baby Bubble Eau De Toilette, the price is about $18 but it last long, so it really worth every bucks you spend ! Got questions? Ask me in the comment box or e-mail. Hello. Thank you for visiting my blog and share your opinion. I'll reply comment after I read. Make sure you use active profile when leave comment so I can visit your blog too. 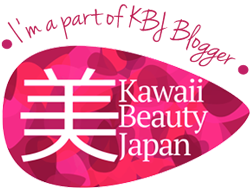 Feel free to ask follow back especially if your blog content similar with me. 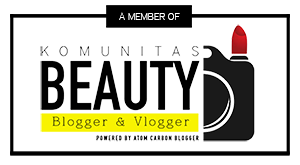 Comment with active links (clickable link) to your own blog, giveaway post, referral links will be automatically removed to make this blog spam-free. 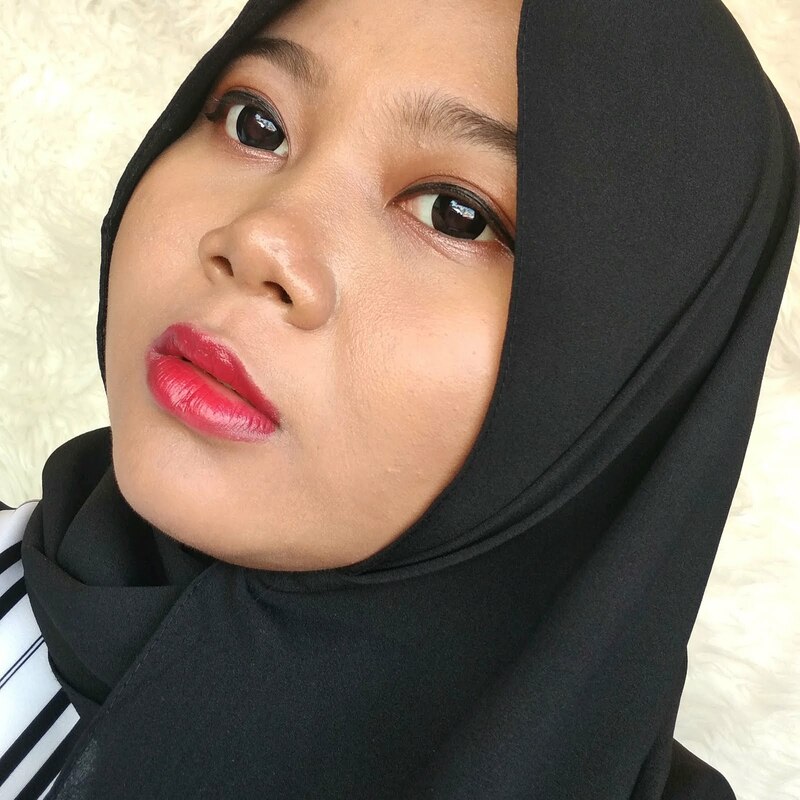 A girl who loves doing long step skincare routine especially at night so I don't need to put tons of base makeup every morning. 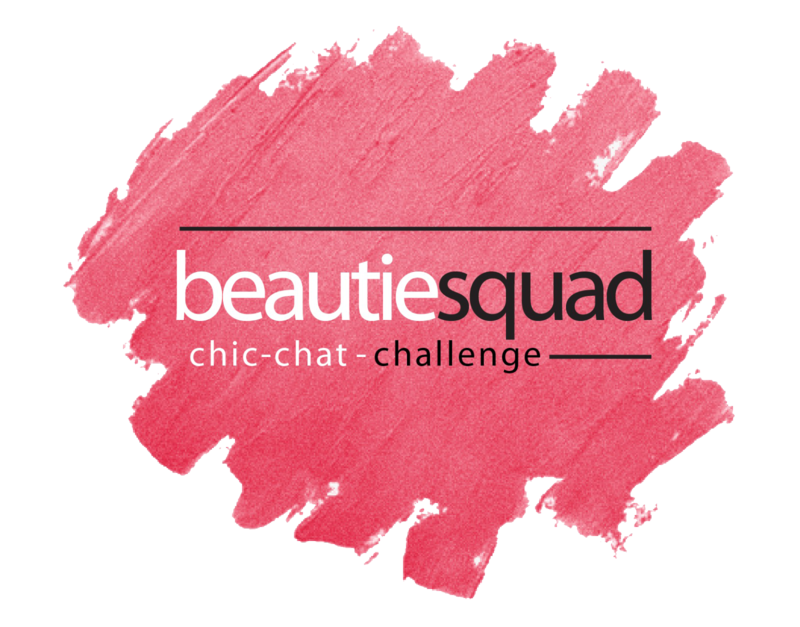 This blog main theme is beauty-related with a little touch of my hobby and life. Blog post is using Bahasa Indonesia or English, sometimes both in one post. 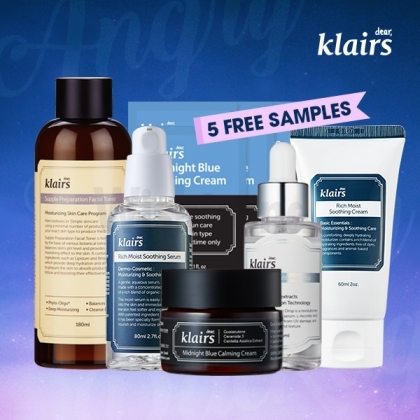 Post title with * is sponsored/advertorial/ PR Sample.